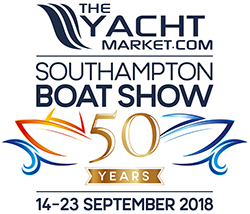 The Southampton Boat Show 2018 kicks off from Friday 14th - Sunday 23rd September and is always a great day out. Come and check out our NEW demo area for real time demonstrations and whilst you're visiting, why not have a chat with our lovely guests from the Ocean Cruising Club! We will have a number of special offers and show only discounts on sat phone, airtime and WiFi/4G gadgets, so don't miss out! Remember - kids go free!